Y&R’s Hope Soap campaign, in partnership with Safety Lab and Blikkiesdorp 4 Hope, was awarded a bronze in the ‘Pharma’ and also the ‘Health and Wellness’ categories, in what is considered one of the world’s largest health care communications awards. 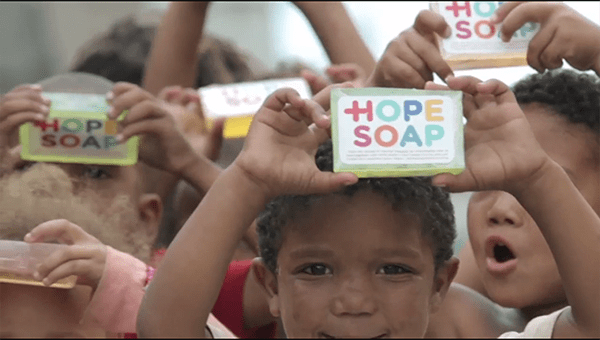 Hope Soap was born out of a need to help combat the hygiene crisis in Blikkiesdorp in the Western Cape. “We designed a see-through bar of soap with a small toy inside to encourage kids in disadvantaged areas to wash their hands more frequently,” explains Graham Lang, Chief Creative Officer of Y&R SA. What’s more, the Y&R Advertising Network was named third in ‘Network Of The Year For Health’, with Health and Wellness category wins awarded to Y&R Beijing, Y&R Peru, Y&R Malaysia and Y&R Philippines.